Authorities are preparing for charges against the boyfriend of the 19-yer-old nursing student who died from ecstasy overdose at the Sinulog party in Cebu. Among Ashley's companion's during the January 19 concert, only the boyfriend still remained uncooperative despite of several invitation for questioning purposes, Senior Superintendent Royina Garma, Cebu City Police Office Director said. "Last week pa yung invitation namin eh. If he will not appear until today. Last week, pumunta na yung friend, then yung mga doctors. Siya na lang yung naiwan sa lahat ng mga ininvite(boyfriend)," Garma said in a press conference. President Rodrigo Duterte has talked to her and instructed her for a speedy resolution of the case, Garma added. Recently, Abad's parents met the President at Malacañang last Thursday to asked for assistance. 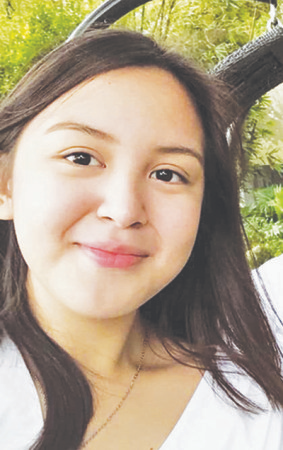 Police Regional Office in Central Visayas Chief Director Debold Sinas said they request the Philippine national Police Chief Oscar Albayalde to issue a subpoena against Tiu, the boyfriend of Ashley Abad.